This applet displays the periodic table of elements. 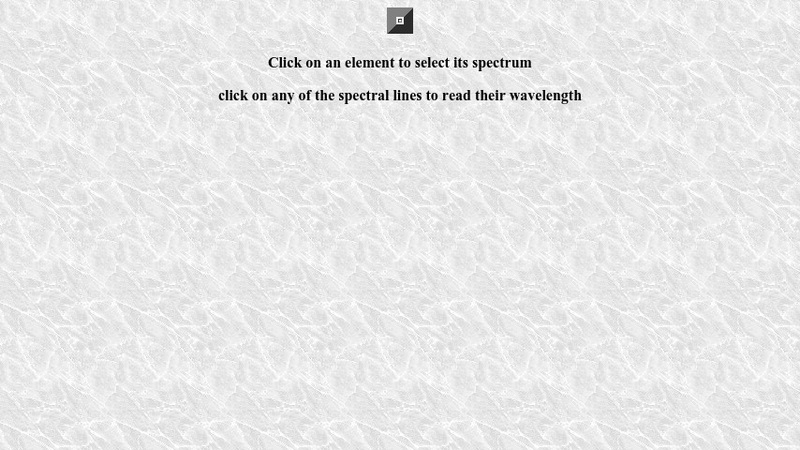 Clicking on an element will show its line spectrum (as a neutral species). Both absorption and emission spectra can be observed. The cursor can be used to measure the wavelengths.